This card is really simple to make. I made it easy and fast on purpose because this is what I like to call my "quick card". 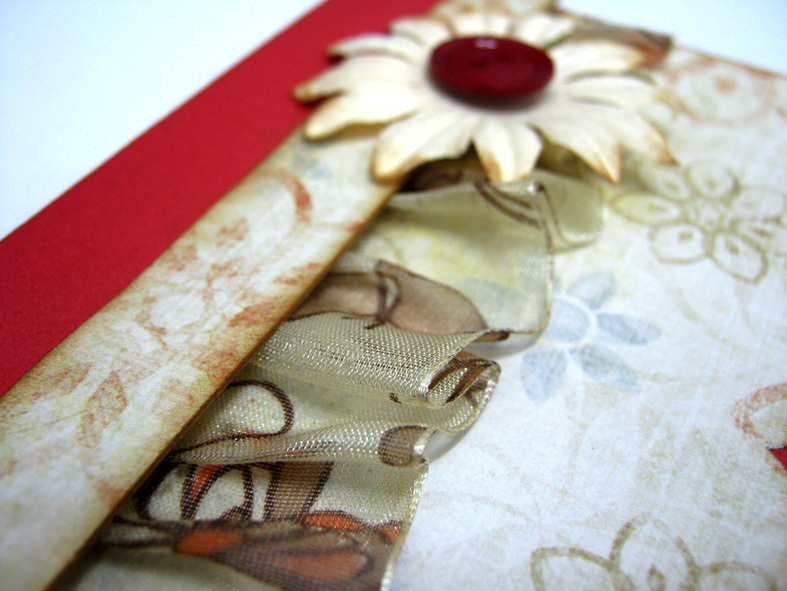 A quick card is a card you need to make many copies of and fast. This is the type of card I give to people I'm not so close to but I still want to give them a little attention. You can make it for people at work or other acquaintances. 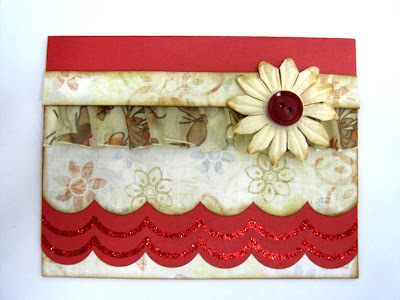 All you need is to ruffle a ribbon, cover it with a strip of paper and add a flower. Adhere all that on a wide scalloped strip of paper, and you have a card! Day 7 mission: (if you choose to accept it) is to share where is your ideal place to spend the holiday and with who. Post it on your blog, on FB, on message boards, anywhere on line you want with a link to the Blog Party. Then go back to my blog and write a comment with a link to your post. Day 7 giveaway: today's winner will get a set of 10 empty cards. You will be set for the upcoming holiday and you'll be able to make "quick cards" for everybody! 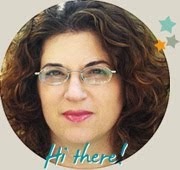 Hi Einat - I love "quick cards" too! They always come in handy - at any time of year - but especially at the holidays! Tweeted the mission for today here - http://twitter.com/#!/JenClark74/status/144589185834168320. Very lovely and inspiring (and more my level).